Robert Johnson Guitar Signature Licks DVD download. The original blues guitar hero who, according to musical folklore, sold his soul at a desolate crossroads in return for musical virtuosity, Robert Johnson unwittingly inspired a guitar revolution. In the hands of Eric Clapton, John Mayall, Peter Green and others, the songs of the legendary bluesman became the very basis of British blues sound, and the roots of modern rock as we know it. In this unique DVD, Scott Ainslie presents a lesson devoted to Johnson’s work, teaching you seven of his greatest songs. 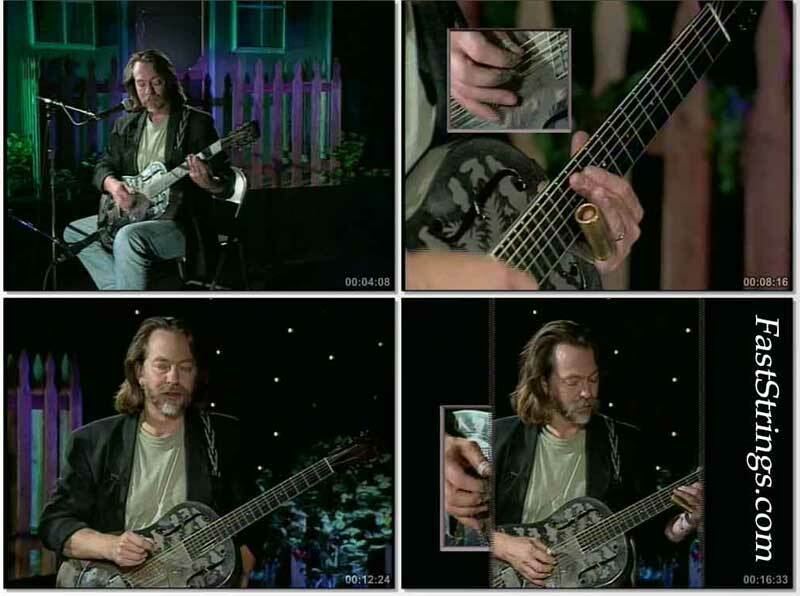 Ainslie delivers a concise and accessible demonstration of the techniques Johnson used to create his remarkable guitar parts, including tunings, slide techniques and the distinctive characteristic fingerpicking of the country blues. Get to grips with the achingly melancholy Drunken Hearted Man, the upbeat shuffle of Walkin’ Blues, as well as the original arrangement of the now much-loved standard Sweet Home Chicago. The lesson is also accompanied with a selection of jam-along songs, a section covering specific techniques, and a host of tips for effective practice. OMG!!! This guy Scott Ainslie is the closest thing to robert johnson’s sound that you will ever hear.If you like Robs sound (and who doesn’t ,right) you will love this video. This is my favorite video thus far and I have downloaded some damn good ones. Totally freakin AWESOME, Admin. Thank you so so much..